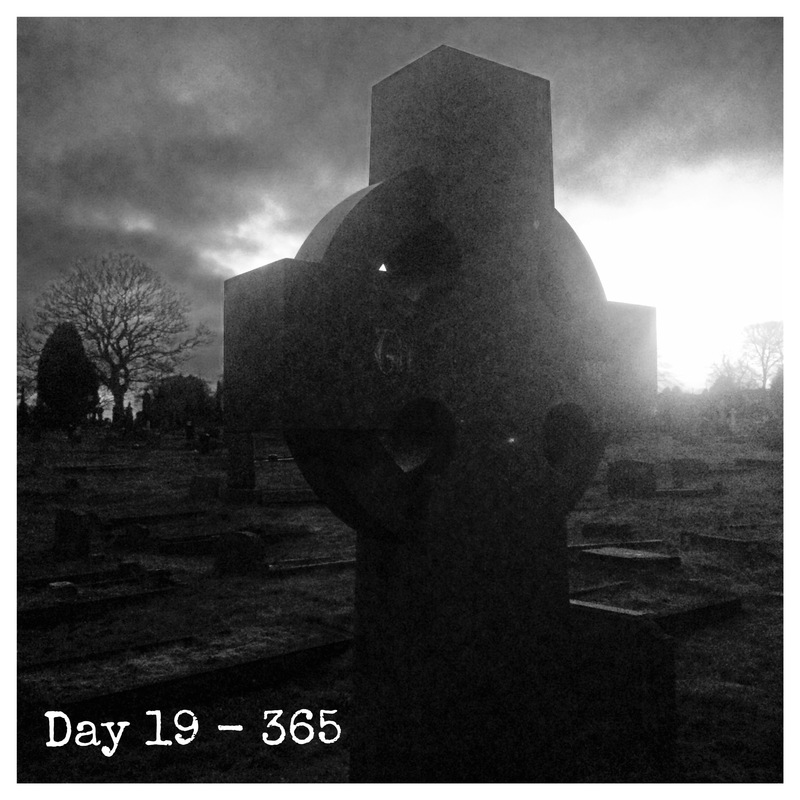 I have to admit to being in a pickle with today’s 365 image. Namely that I have only taken one shot all day – I was busy! So, as a result, you are stuck with this image. Like several earlier 365 pictures, it is from our walks in the cemetery with our two mutts. It was taken this evening just as dark was falling. Hopefully it is suitably atmospheric.